We don’t have shareholders – it’s just us working together for the community. 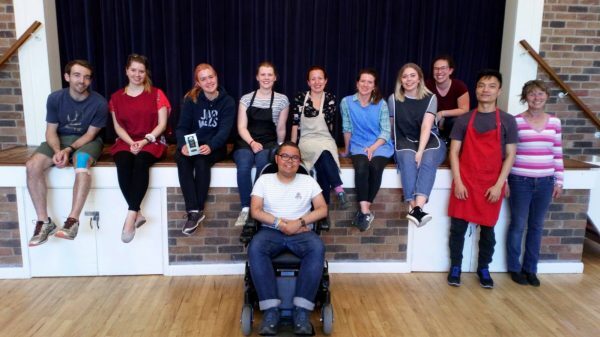 Your support helps the wide range of community enterprises that use the Centre as a lifeline, including a charity for adults with learning disabilities, children and young people’s services and a health and wellbeing project. We rely on local support, grants and the customers that use our facilities. So every time you enjoy a swim or buy a snack you’re doing your bit to help keep The Lenton Centre dream alive. However, if you have some spare time and would like to help out, please pop in for a chat. No matter how much or little time you have you can help – for example volunteering on reception, helping with administration, building maintenance, upkeep of the grounds, or supporting children’s services – basically, anything that interests you or meets your skills and experiences. Support our wide range of community programmes such as youth groups and Tasty Tuesdays. Write the contents of The Lenton Centre’s advertising material, including material for the website, flyers and posters. Co-ordinate and run funding projects in the local community and if desired to also write grant funding applications in support of Centre projects. To distribute leaflets and posters in the local area, with the opportunity to become a leafleting co-ordinator and command a team of pamphleteers. Assist with routine maintenance and decoration of the Centre. Guide a project that benefits the future of The Lenton Centre such as the introduction of renewable energy or refurbishment of the facilities.